There’s a new bird in town and he goes by the name of Cuco. A Mexican animated feature co-directed by Ricardo Arnaiz and Mike Kunkel. 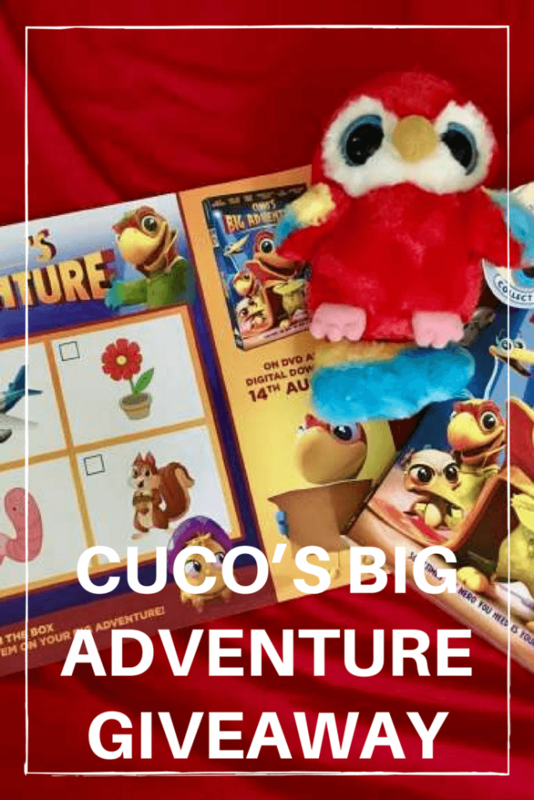 The film follows Cuco (voice of Rico Rodriguez), a young parrot travelling the country with his family’s bird circus. More interested in trying to follow in the footsteps of his favourite superhero El Americano than helping his parents run the business, Cuco is forced to take action when a vicious gang of birds threaten his father and take over the circus. Determined to fight them off, Cuco heads to Hollywood in an attempt to convince his superhero idol to help him with his fight. The cast also includes the voice talents of Lisa Kudrow, Edward James Olmos and Cheech Marin. My nephew would love to see this, I am always looking for gift ideas for him. Great cast, and an exceptionally cute parrot! Sure that would go down very well with any youngster. This is such an interesting idea for a film! I’m sure my two would love it! Cuco should have called the cheetah for some help. Paladin just LOVES birds,all sorts of birds…..
Oh I haven’t heard of this but I’m sure the kids would love to watch it! This looks good, must keep an eye out for it. Lovely giveaway it’s a fab movie. perfect for my 3 little ones! Great gift for my niece. This looks great i know the children will enjoy this. My niece would love the DVD. my grandchildren would love this! Perfect for movie night! Think my little boy would like this! My son Lucas would love this! I’d love to win this for my nephew. Thanks for the competition!